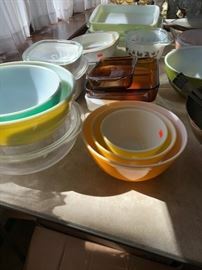 Excellent condition Pyrex and casserole dishes. 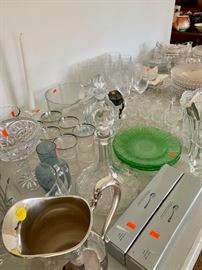 Wide selection of glassware and silverplate! 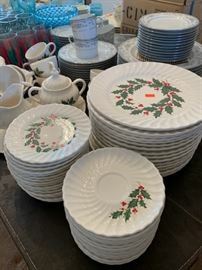 Beautiful Christmas dishes including coffee service. 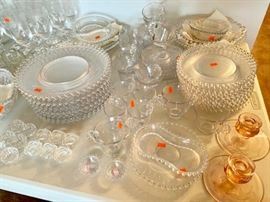 Complete set of Noritake service for 14 with extra cups and plates. 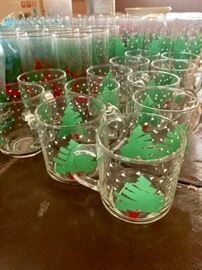 Complete sets of Christmas tumblers and mugs--excellent condition. 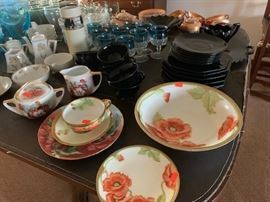 Beautiful hand-painted china from the early 1900's. 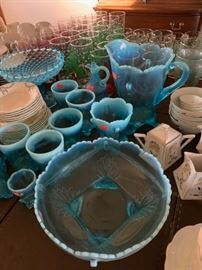 Lovely vintage turquoise pitcher, tumblers, serving bowls. 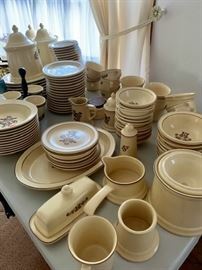 Complete set of Pfaltzgraff, including mugs, serving pieces, canisters--Unbelievable!! 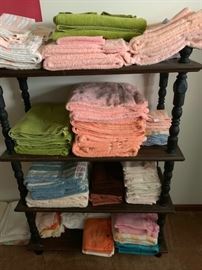 Towels, towels, towels! All in great shape. 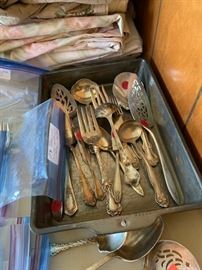 Complete set of service for 12--GOLD handled stainless; pristine condition in flatware storage case. Numerous power tools with stands--perfect for your home workshop! 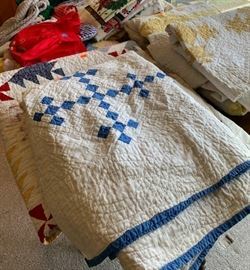 Wow--look at all those workshop treasures! Hand tools, tool chests, handyman's dream! Every hand tool imaginable--great prices! 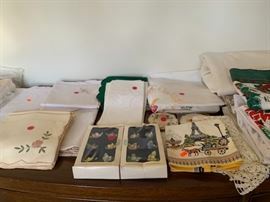 Huge selection of workshop items--too numerous to photograph!